London has a new mayor, after its citizens voted in the Conservative Party candidate Boris Johnson, ahead of Labour‘s Ken Livingstone. 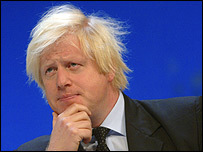 Well-known for his wild blonde hair, his self-deprecating humour and his reputation for gaffes and blunders, Mr Johnson has been a colourful figure in British politics for many years. While few doubted his energy and charisma, Boris Johnson’s narrow victory has surprised his critics, who questioned whether he was a serious enough politician to win. His remarks have often caused controversy, such as when in 2006 he had to apologise to the entire country of Papua New Guinea after suggesting it was known for “cannibalism“. In the same year his criticism of a healthy eating campaign also made headlines, when he said parents should be able to feed children what they like, healthy or not. But bumbling Boris has always had an ambitious streak; when he was asked as a child what he wanted to be when he grew up, he said “the world king". He now replaces Ken Livingstone, who had been London’s mayor since 2000. Left-wing “Red Ken" will be remembered for his role in helping London win the 2012 Olympic Games, as well as his introduction of the congestion charge, which is widely thought to have reduced traffic in the capital. 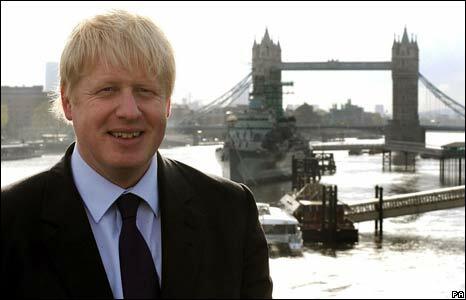 So will Boris Johnson’s victory mean a change of direction for London over the next four years? He promises to be tough on crime and anti-social behaviour, and to work to help to bring together Londoners of different ethnic backgrounds. Whatever happens, given Boris Johnson’s colourful past, it is unlikely that the next four years will be dull.